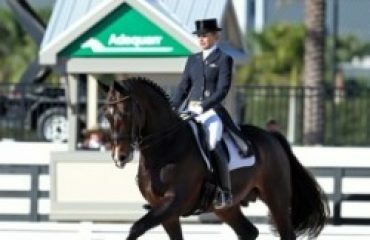 As parents to 18-month-old Nox, how do you and your wife, Silva (a professional dressage rider and trainer), balance parenthood with riding? Life has definitely changed since we became parents a year and a half ago. To be quite honest, it’s probably impacted Silva a fair bit more than it’s impacted me; straight off the bat, pregnancy kept her sidelined for a few months, and then she had to physically cope with the changes of motherhood. I’m sleeping considerably less than I used to do, but I’m sure all parents have to make that adjustment. Financially for both of us, it’s a concern with supporting a kid, and generally we’re both concerned with making sure we’re doing everything right by the little fella. Day to day, we’re lucky to have a nanny who comes in at 8 a.m. to look after Nox, allowing Silva to get out and work with the horses and teach lessons. It’s also lucky that we live at the farm, so the nanny and Nox can wander around the place and we’re involved in his every day. It’s added another dimension to my life, having the responsibility of providing for one more person, and it also becomes a new passion, playing around with him after work. It’s quite enjoyable. I used to kind of sneer at people talking in baby voices to their kid and posting photos and videos on Facebook, and now I’m one of them! He’s out and about quite a bit, interacting with everyone, and is a bit of a celebrity with everyone who works at our place. It’s good fun. Do you have any fashion tips for the veterinary inspection at three-day events? Funny enough, I’ve often been criticized for my fashion wear, and from here on out I get completely advised by my wife! If she’s not at the event, any of the girls grooming can help me out. I’m slowly but surely learning that white socks don’t go with black trousers. Honestly, I’ll kind of go out of my way to wear something revolting just to annoy my wife, too. She’s from Germany and has very good fashion sense, while my Aussie upbringing has given me a much more casual sense of style. 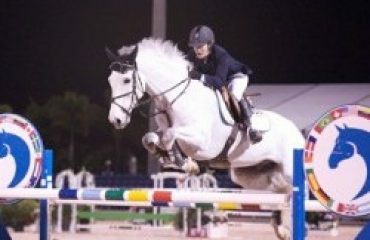 In all seriousness, a good sturdy pair of shoes is essential, as the horses can get quite wound up, and you don’t want to be running out of your loafers or, in the case of the ladies, tripping over high heels as you’re trying to manage a hot horse. Also, you want to make a good impression on the judges, especially at the first trot-up where you’re making your first impression of the event on the ground jury, so keep it classy. What advice do you have for working students? I’ve been the boss and the mentor for a few years now; I came up in Australia through the working pupil program, for Heath Ryan and then I worked for Phillip Dutton when I first came to America. I don’t have too much compassion when I see working students slogging through the day filthy and weary, because that’s how I got started. I don’t think there’s any way to succeed in this business unless you work extremely hard. Anyone who’s soft as a working student just isn’t going to make it. In my business at Windurra, I only accept 30–40 percent of the people who send me an email inquiring about working for me, because once the reality of the grind sets in, they’re just not going to make it. 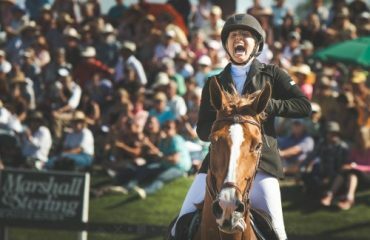 The biggest difference between a working student and the kid that’s coming for their weekly lesson is when you spend all your time immersed in a program, you’re really getting a complete understanding of what it takes to be good in the sport: the work ethic, training techniques, horse management and all the tiny things you soak up every day. I probably teach my guys less than some other people but they’re in a place with a lot going on. Last year one student went to Badminton (England), one to Luhmuehlen (Germany), one to the Rio Olympics and one to Pau (France); you don’t get that opportunity everywhere. 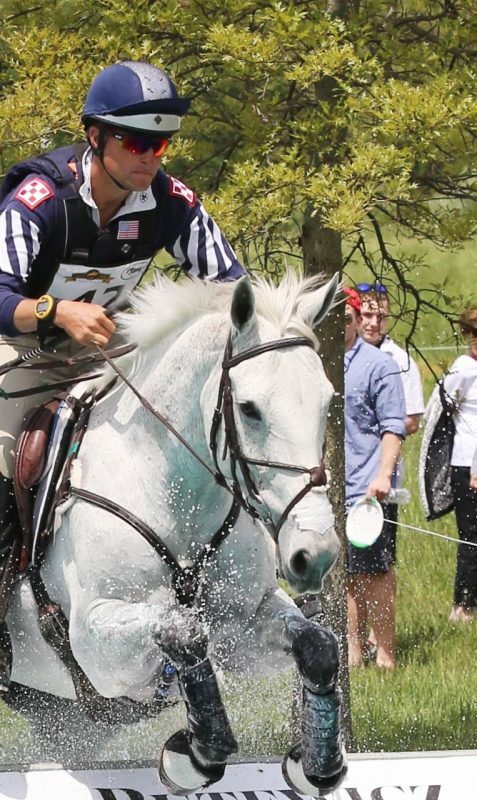 Recently William Fox-Pitt was here and they had lessons with him. 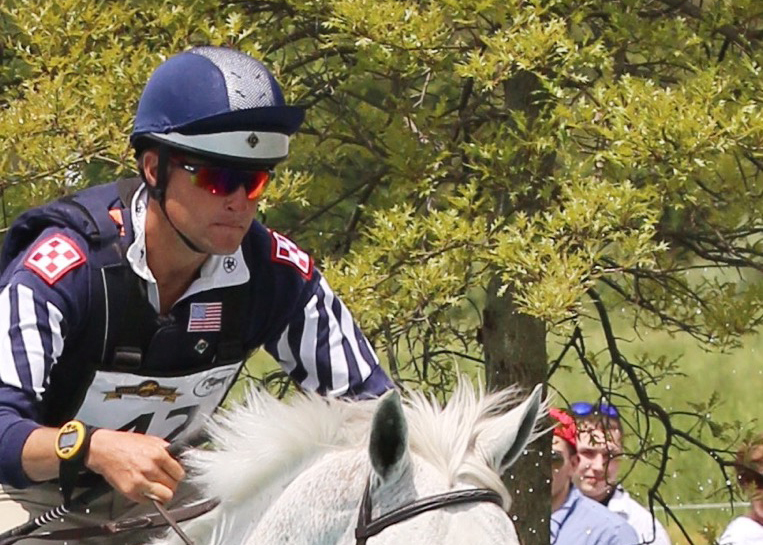 Australian eventer Chris Burton was here and gave them all a hand, free of charge, too. Not that many people in the world would get that opportunity. The guys and girls who actually have stuck around, I’m very, very proud of. They’ve persevered for a year or two, or even five or seven years, and I feel that when they move on, they can really be successful. You’re going to work hard if you come to our place, but I think there’s a reward for it eventually.